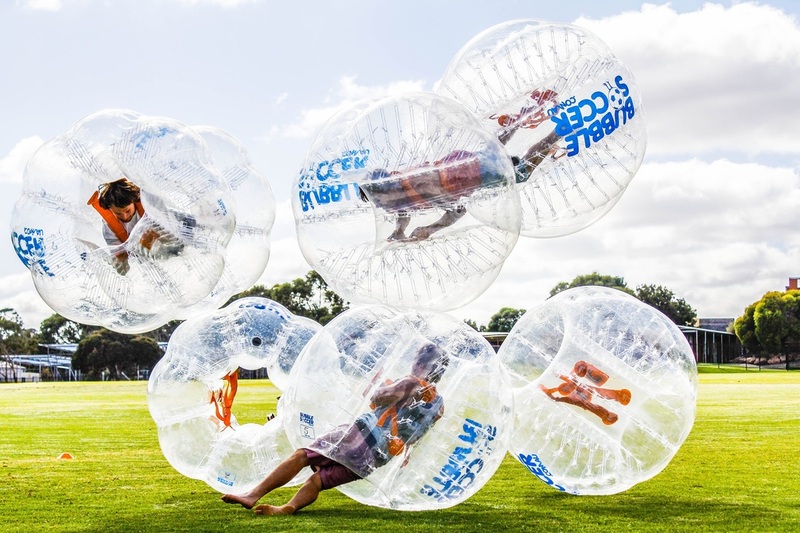 Bubble Sports is all about smashing into each other, bouncing, bumping and rolling across the grass in a giant inflatable zorb-like ball. 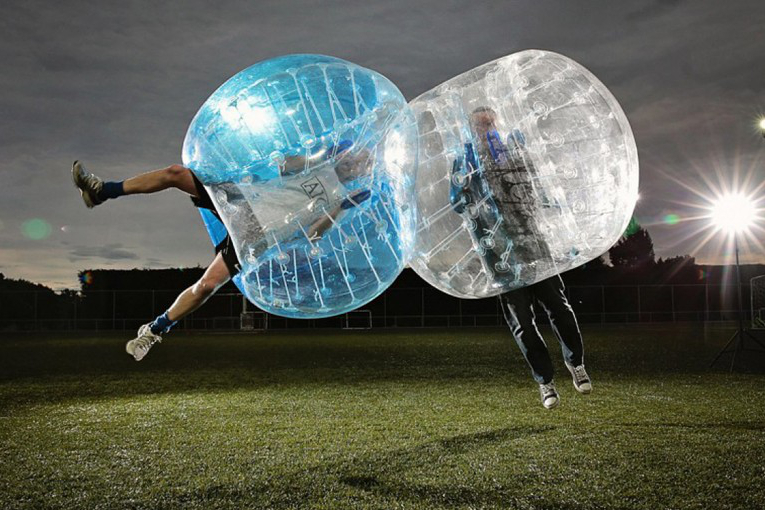 The best part is that it doesn't hurt at all, it's like you are actually in a bubble and if you land just right you can bounce right back up on to your feet. 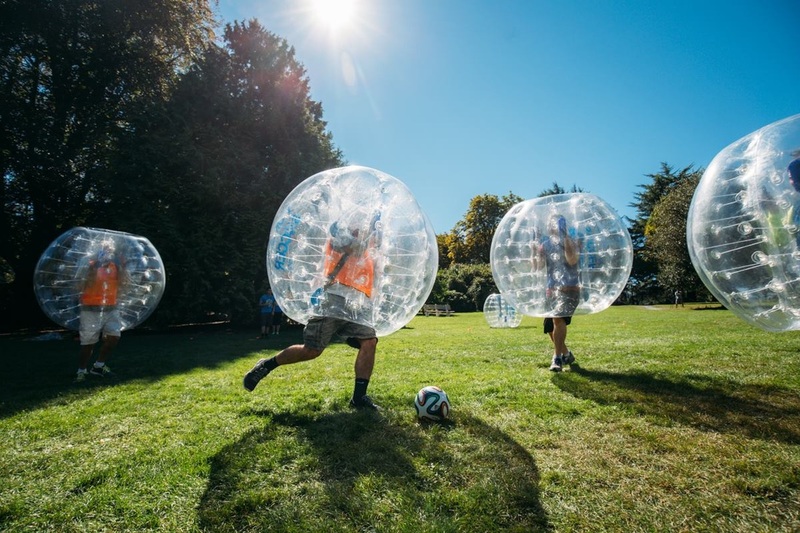 Our team of highly skilled and first aid trained facilitators will ensure that everyone has a great time with lots of laughter through some exciting and banging fun. There is no age limit and all are welcome to experience this awesome sport! 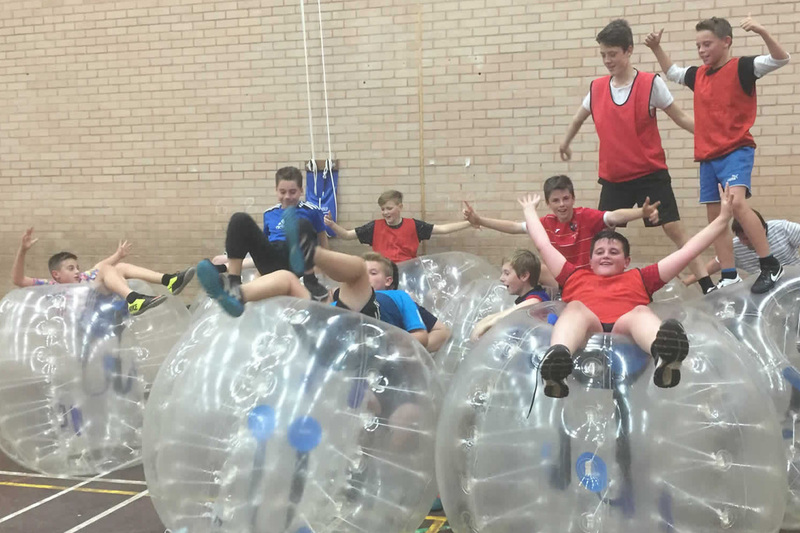 Futsal in bubble balls with no outs, no fouls and all about 'banging' your opponent as hard as possible so that they don't score. 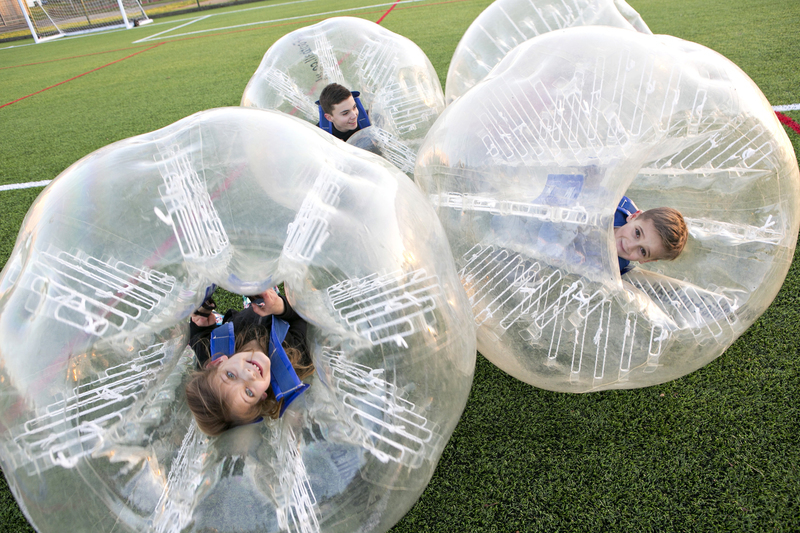 Bubble Rugby is played using your friend as the 'Rugby Ball' to score touchdowns by getting them into the opponents' zone! 2 kings at war. Protect your king at all cost whilst attacking the enemy king. You win or you die in this game of thrones! 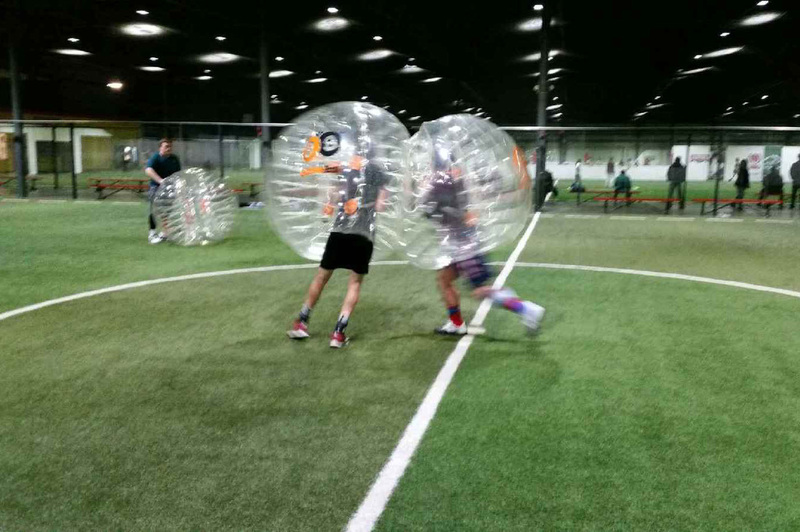 We have a 100% safety record and we strive to ensure that your group has a safe and enjoyable time with us at Arena 51. 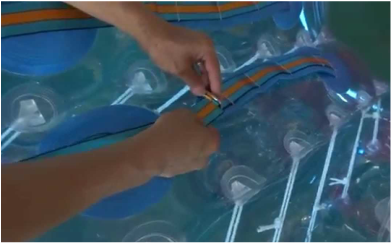 We also start every session with a warm up session followed by a compulsory safety briefing to show participants how to safely use and operate the bubbles. All participants is also required to undergo confidence training where you will experience how to safely fall! (Always keep your legs straight when you fall). However in the event of an injury, Arena 51 staff are certified first aiders and is fully capable of rendering first aid and. Arena 51 pride ourselves in hygiene and maintenance. All our bubbles are cleaned, disinfected, and checked for wear and tear before and after every game. Our sweat resistant straps also help to ensure cleanliness and odour resistance!